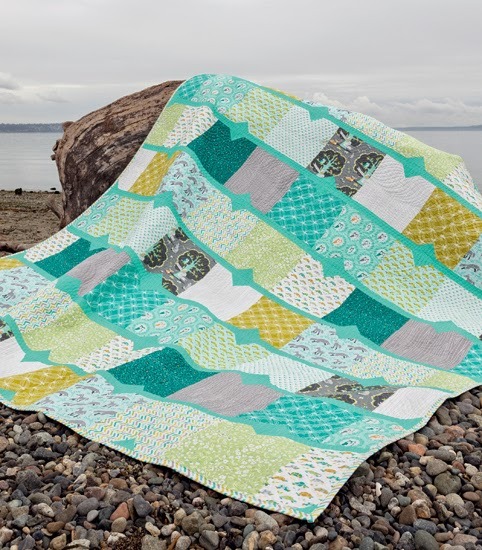 With the book tour underway, I wanted to wrap up my series of posts showcasing the quilts from Beyond Neutral: Quilts Inspired by Nature's Elements. 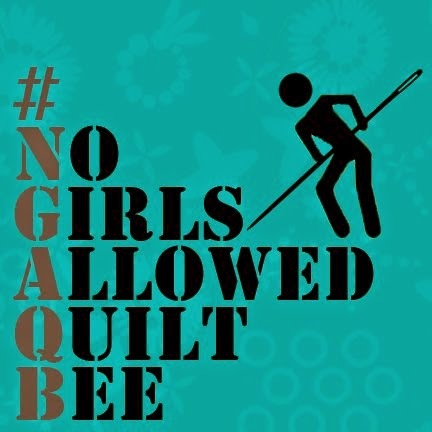 I've shown 12 of the quilts in previous posts, and this post will reveal the last four. 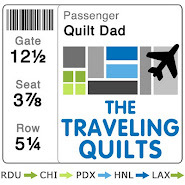 I hope you've enjoyed seeing the quilts as much as I've enjoyed hearing your amazing feedback on the book. It makes me happy and proud that so many of you are enjoying Beyond Neutral, and I truly appreciate each and every review and kind word. 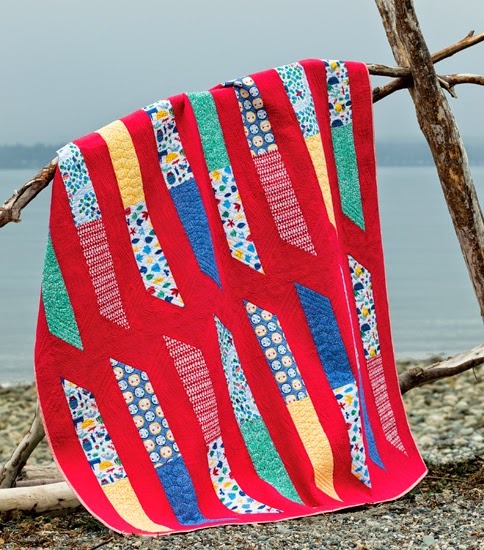 This first quilt is a bold beauty that I named Fire Island. I paired fun, colorful Cloud 9 prints with a bright red shot cotton whose dimension and texture both look and feels beautiful up close. Was the red a scary choice? For sure, but I'm glad I pushed beyond my comfort zone. For Big Thicket, I pulled out a long-hoarded fat quarter bundle that I had purchased from Pink Castle Fabrics a few years back and loved for its eclectic mix of prints and colors. (Sheep? Chairs? Meteors? Electric yellow?? Sure!) I created a very simple 2-block pattern that showed the prints off and paired them with a subdued grey that I think achieved both strength and whimsy. And finally, allow me to introduce Fox River. It was my experiment in pairing woodland prints -- foxes, trees, and owls -- with a decidedly aquamarine solid. 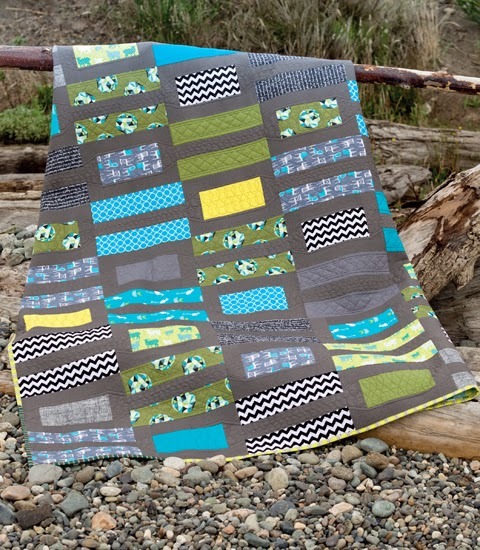 Constructed in rows, this is a super easy pattern perfect for showing off large prints, and could easily be adapted into baby / kid quilt size. If you have a copy of Beyond Neutral, I'd love to hear what you think. Amazon reviews are always appreciated too! 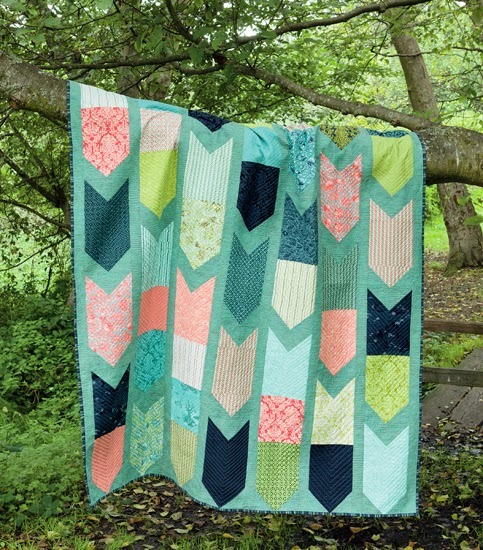 These are lovely quilts. Each one has a different feel but I LOVE the red and it would have been way out of my comfort zone too. It's beautiful. I don't own a copy of the book but have looked at the contents a number of times and would love to get a copy. I like many of them and especially the cover quilt! I have a copy of your book and I love it. Heard you talking about it on a podcast, so I bought it straight away. So many quilts in this book really appeal to me. I'm making an easy one this weekend. I'll be sure to tag you on IG.